When an accident occurs a proportionate investigation should be carried out to comply with statutory duties and allow lessons to be learned to prevent reoccurrence. Accident investigation may be triggered by statutory reporting and duties under health and safety legislation, insurers and/or a moral duty to ensure the health, safety and welfare at work of employees. We advise on reporting under RIDDOR and carry out accident investigation with a view to preventing reoccurrence as well as providing any required documentary evidence. The depth to which an accident, incident or near miss is investigated is dependent on a number of factors with investigation and any advice given being proportionate to the accident. It’s important to identify not only the immediate causes of accidents but also the underlying and root causes, important factors in learning lessons to prevent re-occurrence. Accident investigations are undertaken by a qualified health and safety professional. Where necessary we will visit site, take photographs and examine workplaces, machinery and equipment, liaising with other agencies as required. On completion of an accident investigation we’ll provide a summary our findings in the form of a report and where appropriate suggest further actions that might be considered to prevent re-occurrence. 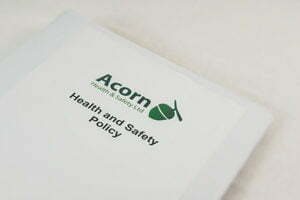 We will assign you a dedicated and competent health and safety professional who will gain an understanding of your needs and be on hand to provide help and advice or comment you need. Any documentation produced will either be uploaded to our cloud based storage system provided electronically, or as a hard copy in the required format.